A joint meeting between Extol and one of our neighboring clubs, Sunway Toastmasters was held last night at the latter's regular meeting venue in Sunway University College. To say that the meeting was enjoyable is an understatement! Sunway Toastmasters extended their warmest welcome to the Extol entourage (or Extourage if you may) by serving delicious curry fish and omelette (among others) free of charge! The "Extourage" consisted of President CC Marvin, Treasurer ACB Chak Ngoon, Secretary DTM Ngan Eng, DTM Patricia, TM SK Ratnam, TM YP Koh and myself. During the meeting we heard an excellent Ice Breaker from TM Jun Keen, whose speech was evaluated by Sunway Toastmasters' Immediate Past President CL Kenny Koay. Despite having just recovered from a bout of measles, TM Jun Keen gave an impressive performance that left the audience wanting more. Not only did the 19-year old make full use of the time allocated, he also showed little nervousness and didn't use notes! TM Kwee Lan, who was presenting her C&L#4, taught us that if we don't know what gift to buy for person, try thinking about something that we would like to receive as a recipient. Very apt considering Christmas is just around the corner! 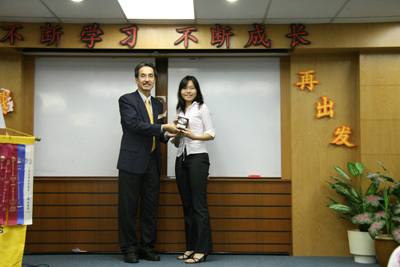 Her speech was evaluated by DTM Patricia from Extol Toastmasters. The third and final speaking slot belonged to CC Shane, who was doing his 10th speech from the C&L Manual. 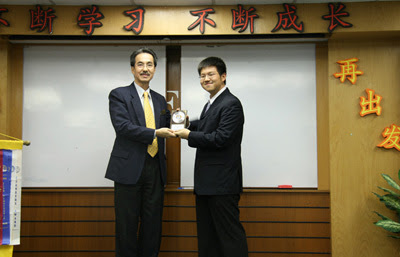 His powerfully inspiring speech was evaluated by a no-less powerful man from Extol, Mr President CC Marvin Lau. 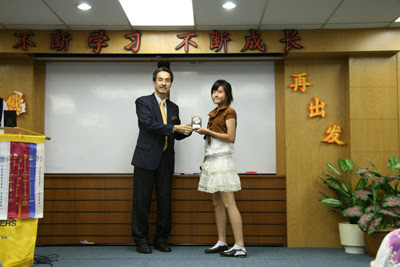 In all Toastmasters meetings, there is always something to take home for everyone. Last night was no exception. 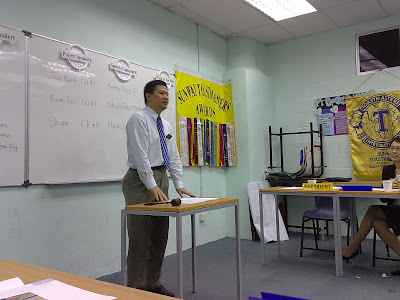 General Evaluator ACB Chak Ngoon proposed that we should consider employing open-evaluations as well, given the advantages and effectiveness we observed at Sunway Toastmasters. 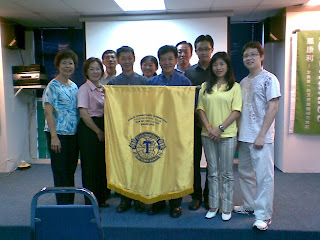 We wish to congratulate all members who have upped a notch in their C&L ladder last night, and thank Sunway Toastmasters, in particular Mr President CTM Murphy Lum for the warm reception and great meeting. 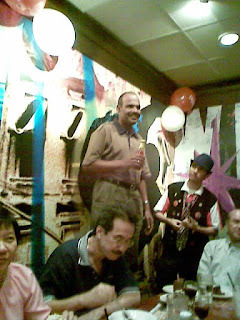 CTM Murphy has also indicated that Sunway Toastmasters will reciprocate by coming to Extol some time early next year. Looking forward to that one! 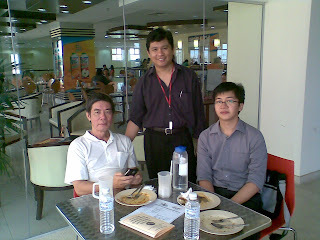 I enjoyed last Friday's event (the Recognition Dinner 2007) and especially the company that you had provided. I have learned much from my relative short stint as the President of Extol Toastmasters. 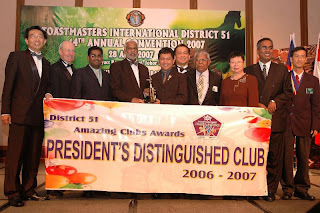 By administering club affairs and events with the wonderful mix of members in the club , I felt fortunate to have improved my understanding and appreciation of good leadership and the fruits of the Toastmasters programme. It was an eye-opening experience for me and it takes more than words to describe the exhilaration I felt and the little, little things that made me tick in my busiest moments working for the club. 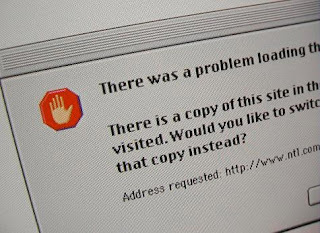 Truly, my life would have been much poorer and my lot lesser without this serendipity. The weathering trials of Extol Toastmasters made me realize the weight of the words of Winston Churchill in his inaugural speech," I have nothing to offer but blood, toil, tears and sweat." To the all the past Presidents of Extol Toastmasters, I admire the work that you had wrought, the trials endured, and the finest moments that you had. You have been the inspiration to me and I would urge all members to learn from all that they have to share. A Teacher can only bring you so far in your journey, the rest of it, you will have to walk yourself. Members, please take whatever advice they offer seriously and make the first step. There is nothing more depriving than to be blinkered by self-doubt and fettered by avoidance. When you have truly tried, without the fear of failure and reprimand, that will be your finest moment. I see Extol Toastmasters uniting in purpose despite their differences and personal biases. I see Extol Toastmasters overcoming many obstacles that would have mired the meek. I see Extol Toastmasters rising above the rest because they have told themselves,"We shall overcome." Some say that I already see the heavens. We are not too far from making this club a grand success, what lies ahead requires a little bit more from each of you. And, I am sure you have within you this power and wisdom to make the difference. And all the good things will be yours. Please cooperate with your incoming President CC Marvin Lau. I have every confidence in him to carry on this great tradition of Extol Toastmasters and to bring it to greater heights. This is my last public message as your President. The French madamoiselles and Camembert cheese are waiting for me, and I dare not tarry any longer. "Oui, madamoiselles... je vais! " 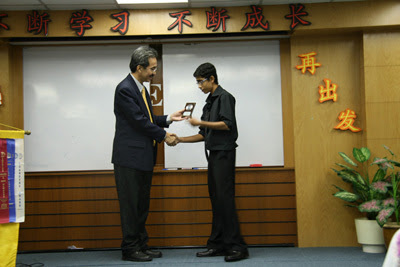 We recognized the contribution of all members to Extol Toastmasters in this event. It was held at TGI Fridays, Subang Parade on 30 November and organized by The Pink Pimpernel and his troupe of Flying Trapeze Elephants. Suffice to say, we had a lot of food, fun, and volume during the event and it marked a turning point for the club: the incoming President Marvin Loo is un-officially recognized. 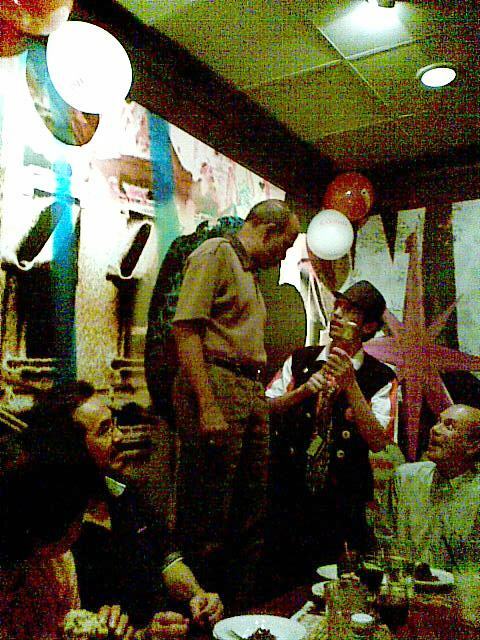 In Extol Toastmasters, it ain't just about the speaking, it's about the fun and the camaraderie too~! 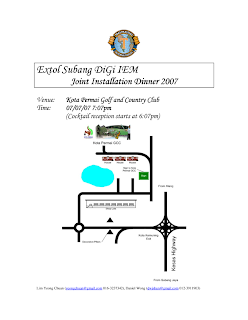 Extol is proudly organizing a Joint Installation with our sister clubs in the Area: Subang, DiGi, and IEM Toastmasters. Venue: Kota Permai Golf and Country Club, Kota Kemuning. Guest of Honour: Incoming District 51 Governor KK Chee. Apart from installing the incoming officers and recognizing members' achievements, this event is also the perfect avenue for socializing with members from our sister clubs. Indeed, there will be performances, games, singing, and other activities associated with an evening of merriment. We welcome all who are interested to attend this event. 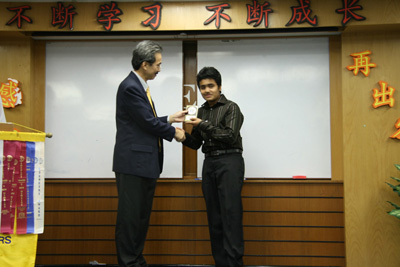 This annual event is the best way to bring out the camaraderie and spirit of Toastmasters! 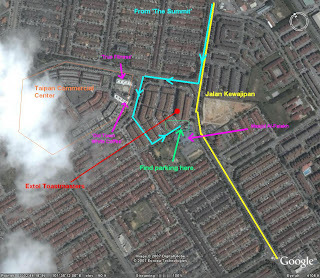 Please contact yeongchuan@gmail.com or dwjshun@gmail.com for further enquiries. We have a new furniture arrangement in our usual meeting place today. I am impressed with DTM Ngan Eng's innovative table topics approach: weave a story that had each speaker continue where the previous speaker stopped. This idea should be integrated into one of our repertoire of table topics. The story itself was convoluted and Steven Spielberg himself wouldn't have thought of the ending. It started with a homicidal Uncle knocking the back door then continuing on to Alien-mimicking, homicidal Kindergarteners who abducted an adult and put him/her into a cell. YP Koh first role in Extol was as a Grammarian. He will be the incoming Ah Counter and I believe he will make our club rich with the "Ah Count Donation". Talking about Ah Counting, our Ah Counter LF Chan also took on his first role in Extol. In his words, "I am lenient (because a few members had zero count), but when I give ONE Ah Count, it means that was a disaster." (or something to that effect). We had Jennifer Lee as our guest. She enjoyed the meeting and she looks forward to visiting our next meeting.